If you have missed the second episode of Pesos and Sense on which they talked about Mutual Funds, here are the videos you can watch to learn what Mutual Fund is and how can you grow your money through this investment vehicle. A couple shared their experience about investing in Mutual Funds. Mike Vinas of Citiseconline who happens to be one of the worship leaders of weekly Catholic gathering, The Feast where my siblings and I attend every Sunday, explained 'Peso Cost Averaging' wherein you can minimize the risk by investing regularly. Enjoy watching and happy learning! 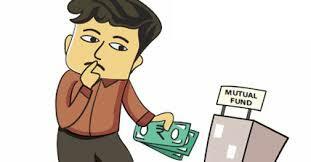 To invest or not to invest is the question enters into your mind after you have learned what Mutual Fund is and the top reasons of investing in Mutual Funds as I posted in my previous articles. Considering the increasing prices of basic commodities like the cost of food, fuel and more that we are experiencing in our daily lives, we must find investment options that will let our money grow faster and keep up with a steady rise in the prices of goods resulting in the loss of your money’s value. Allow yourself discover the Mutual Fund that will help you achieve your goals and dreams for you and your family. But before doing so, consider this guide before you make a decision today that will certainly change your life forever. Have you set aside 20% of your monthly income as financial gurus would advice and willing to lose it all? “The rule of thumb: invest on money you are willing to lose, which means that you can forget about it for the meantime.” Preferably 10 years or more until your money grows as much as it can--it's the time value of your money. Before declaring yourself as a Mutual Fund Investor, choose a trusted company that will be with you in your journey to have a secured financial future. A Mutual Fund company that has been in the industry through the years (for 116 years now). Understand their prospectus and historical performances. Now, are you ready to become a Mutual Fund Investor? The accumulated money is managed by top notch investment professionals who are dedicated to ensure that the funds generate the best returns over the long term. They decide on behalf of the shareholders on the strategies and investments that would match each of the fund’s objectives. Direct investments usually require investors substantial capital. For instance, minimum investment for Treasury Bills ranges P100k to P1 million depending on the bank you are transacting with. But for Mutual Funds, it requires a minimum initial investment of P5,000 and minimum additional investment of P1,000. You can jumpstart an Investment Account making your hard-earned money work hard for you. It is the ability to readily convert investments into cash. Other investment products require you to find a buyer so that you can liquidate your investments. That is not the case with mutual fund shares because the fund itself stands ready to buy back these shares at the prevailing Net Asset Value Per Share (NAVPS). While the law provides that redemption proceeds must be given within seven (7) banking days from the date of the redemption request, most funds are able to pay the redemption proceeds within the next day. Mutual funds are, therefore, considered very liquid investments. Mutual funds are highly regulated by the Securities and Exchange Commission (SEC) under the Investment Company Act and its Implementing Rules and Regulations. Mutual funds are prohibited from investing in particular investment products and engaging in certain transactions. They also have to submit regular reports to the SEC as well as to their shareholders. Because a mutual fund is managed as a single portfolio, it is able to take advantage of certain economies of scale. For instance, with its millions and billions under management, it can negotiate for lower stockbrokerage fees or higher interest rates on fixed-income investments. Whether you’re a conservative or aggressive type of investor with short term or long term time horizon, at least one fund is suitable for you to achieve your goals. Investors are allowed to modify investment strategies over time by transferring/moving from one fund to another within a mutual fund family. You can do so accordingly up to four times in a year at no charge. 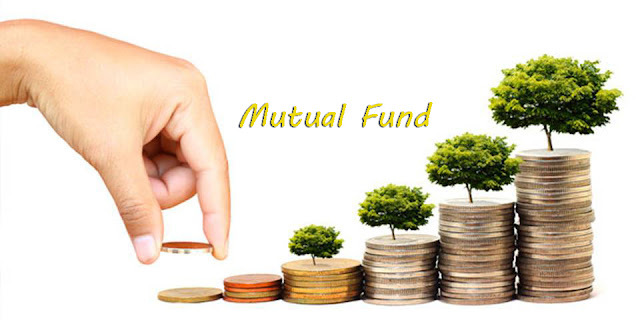 The mutual fund company provides investors with updated information pertaining to the fund. The price of mutual funds’ shares is calculated every business day. You can check it in the mutual fund company’s website and also reflected in the business section of newspaper weekly. You can invest in mutual funds directly through SEC-licensed like me who normally provide personal service. Most major fund companies offer a variety of services including quarterly account statements, extensive recordkeeping services to help investors track their transactions and follow their funds’ performance via phone or through their account online. 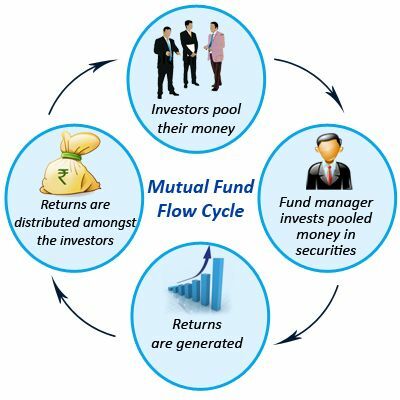 Once you invest in mutual funds or other investment vehicles, it becomes a habit. It increases your desire to save every month and invest it in mutual funds. You are in control of your finances. *Some informations were taken from ICAP and SEC’s Investment Company Representative Certification Program manual. A Mutual Fund is an investment company that pools together money from different investors and invests them in various securities depending on the investment objective of the fund. The mutual fund company issues shares to the public that represents their holdings in the fund. What are the different types of Mutual Funds available? There are four basic types of mutual funds currently available in the market categorized according to the investment objective of the fund or the investments that the fund is primarily invested in. Money Market Funds invest purely in short-term (one year or less) debt instruments. This fund offers the lowest return and the lowest risk. Bond Funds invest in long-term debt instruments of governments or corporations. It provides capital preservation. Balanced Funds invest both in shares of stock and debt instruments. Stock Funds / Equity Funds invest primarily in shares of stock. Among all the other types of Mutual Funds, Equity Funds has the highest possible growth but has the highest risk. It provides long-term capital appreciation. It is for aggressive type of investors looking high growth but with high risk. NAVPS or the net asset value per share represents the price of one share from a mutual fund. All shares in a mutual fund are bought and sold using the NAVPS, which changes every business day depending on the market performance of the fund. If the NAVPS of the mutual fund you are invested in increases or appreciates, you can sell your mutual fund shares for a profit. In the same way, if the NAVPS of the mutual fund you are invested in decreases or depreciates, you may realize a loss if you redeem. Like any other investment instrument, mutual funds are best held long-term especially for mutual funds that have investment objectives of capital growth such as equity funds. When is the best time to invest in Mutual Funds? The best time to invest is now. Start investing as early as you can. *Informations were taken from Sun Life’s site, www.sunlife.com.ph.